Matricaria recutita - Natural Health - Lancaster and Preston . 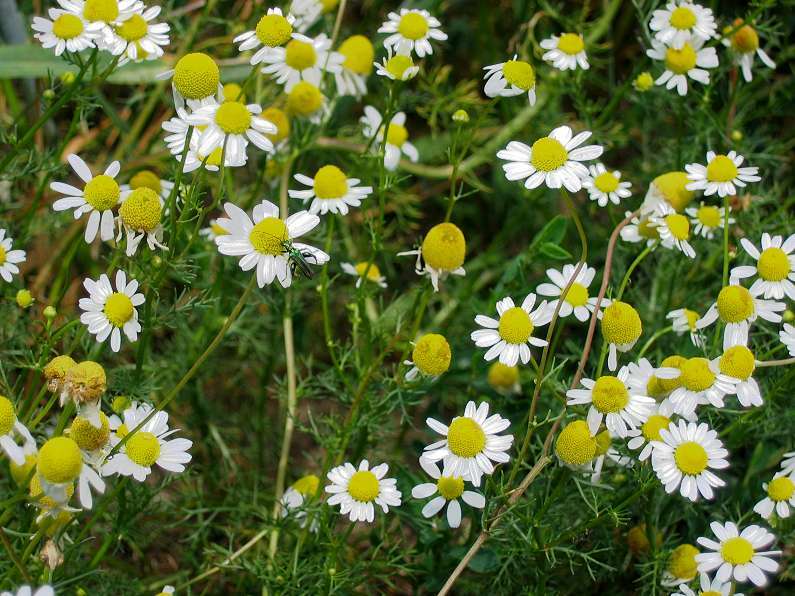 German chamomile has a wide range of uses - it's a relaxant, anti-spasmodic, carminative, anti-inflammatory, anti-allergenic and a mild bitter. An infusion of the dried flowerheads can be taken for digestive problems such as indigestion, bloating and colic. As a nervine it helps relieve tension and a strong infusion can be used to promote sleep. An infusion of the dried flower heads can also be added to the bath, helping to relieve itchy skin. It combines well with oats (See health issues - eczema). Creams and ointments can also be made to ease sore and irritated skin.